- Franciscan, Doctor of the Church. - Patron of lost articles and lost souls. 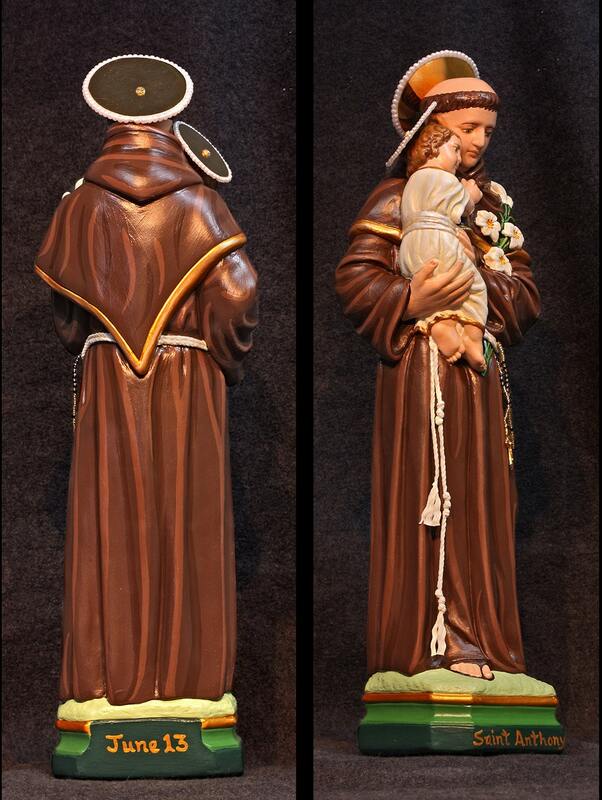 This 18" statue features two magnificent hand painted faces and details such as fingernails and eyelashes, hand made Franciscan rope belt, hand made rosaries hanging from belt, and golden halos. 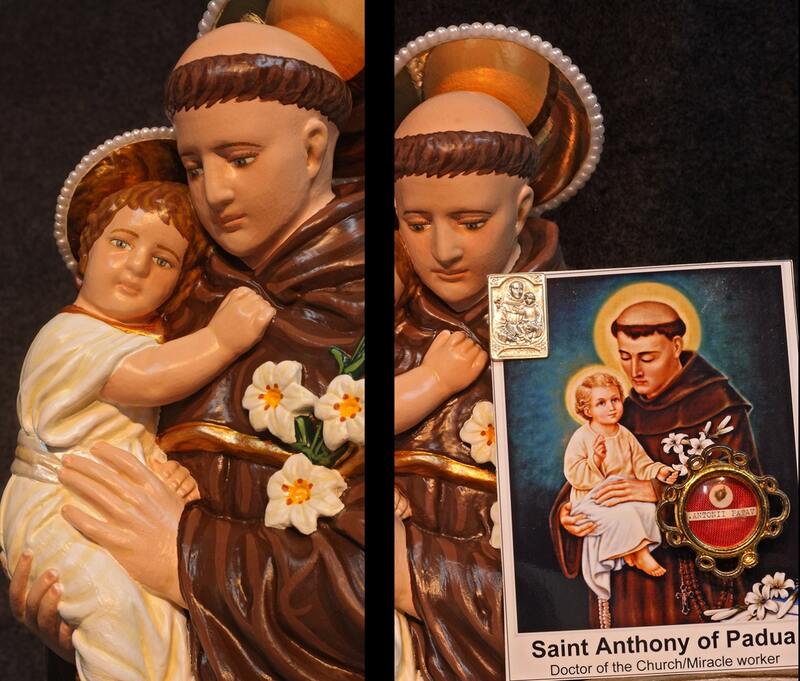 The finished statue will be touched to a first class relic of St. Anthony as shown in the photo. 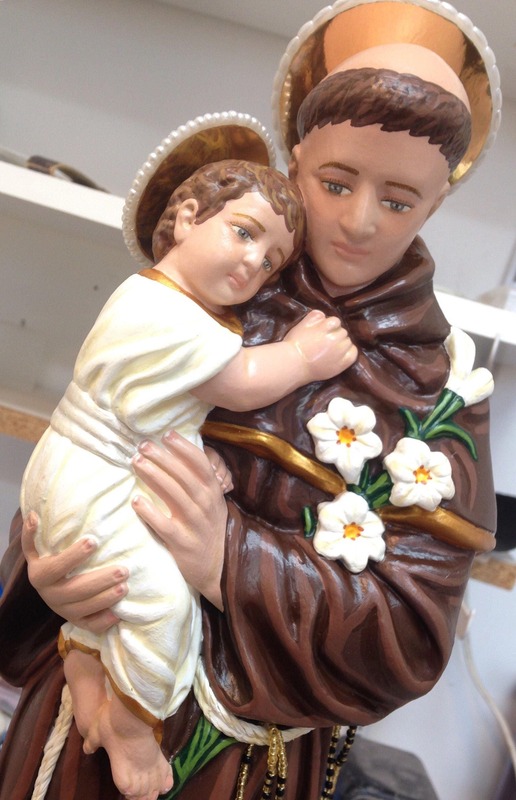 All our statues are handmade in the USA and made to order. 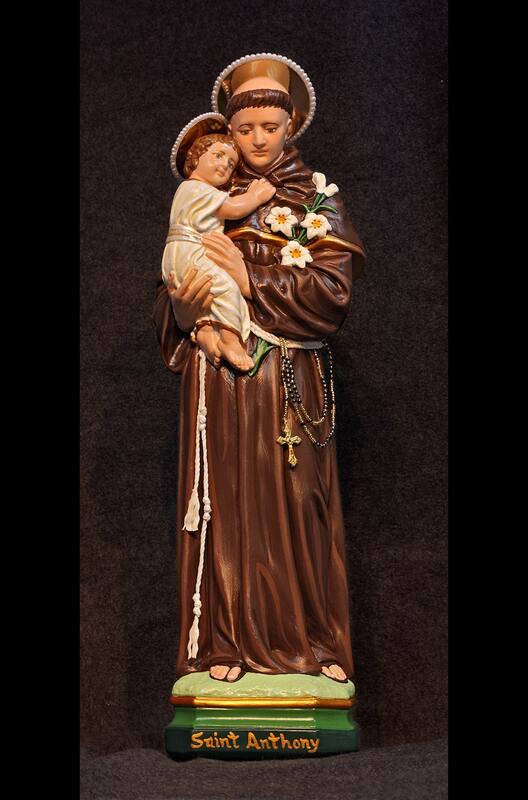 Please allow 5-10 weeks for us to make and ship your statue.